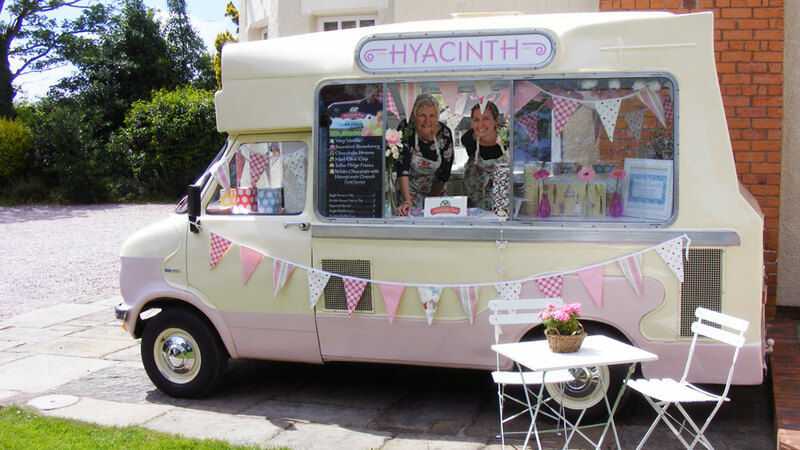 Hyacinth is our vintage van and dressed in her finest bunting, she is the perfect accompaniment to any event. 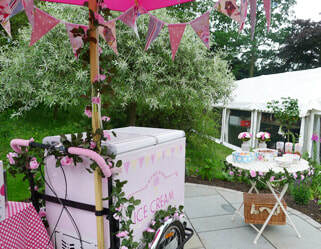 We also have our vintage parlour and vintage trike to hire on their own or with Hyacinth if required. 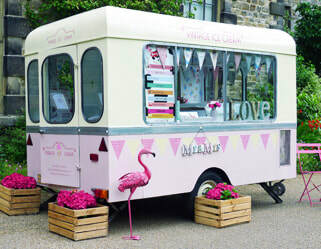 Award winning real dairy ice cream and sorbets from Marshfield is served up by lovely ladies in their best floral frocks. We carry 8 different flavours including vanilla, strawberry, chocolate, caramel, mint choc chip, rum and raisin, salted caramel and dairy free sorbet. Bespoke flavours, including alcoholic sorbets, are available at an additional cost. When it comes to ice cream we love a challenge so let your imagination run wild and we will do our best to deliver! We believe it’s the little touches that matter, like home-made bunting, embroidered table cloths and fresh flowers for the garden. We will always go that extra mile to make your event feel extra special. 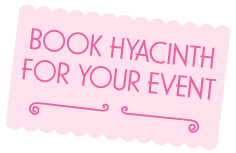 Hyacinth is available to hire for private parties, weddings and corporate functions and also public events such as festivals and fetes. Hyacinth can travel to all areas in the North West including Cheshire, North Wales, Shropshire, Manchester, Lancashire and Merseyside. ​No event is too big or too small so please feel free to contact us to discuss your options!